The farm of John Sordo , now run by His son George, is situated at few kilometers from Alba Barolo at the foot of the hill, in the municipal district of Castiglione Falletto, Cuneo provinces. The family business Has Been engaged in wine growing for over three generations. It was founded in the early 900s by the present owner's grandfather Joseph, but the real turnaround came with His Father Giovanni who, together with His Wife Mary, testimony of the firm's past, acquired Numerous vineyards in some of the finest areas of Barolo territory: '' the Sorì ''. The lands of These vineyards, made up of very deep and compact calcareous marl, rich in micro elements, Provides an ideal environment, with the complicity of the micro climate typical of the Langhe, for the cultivation of Nebbiolo, an extremely vigorous and demanding varietal Which Produces wines of great prestige, age-worthy and rich in fragrance. Today, the firm extends over a total surface area of 53 hectares planted with vines, distributed in the municipal areas of Castiglione Falletto , Serralunga d'Alba , Monforte d'Alba , Barolo , Novello , La Morra , Verduno , Grinzane Cavour and Vezza d 'Alba . The firm is equipped with modern plants for wine-making, storage and bottling. An impressive aging cellar, fitted with over one hundred high capacity oak barrels, Enables the wine to mature and develop perfectly. All production processes, both in the vineyard and in the cellar, can depend on the tried-and-tested traditional methods handed down to us by our ancestors. 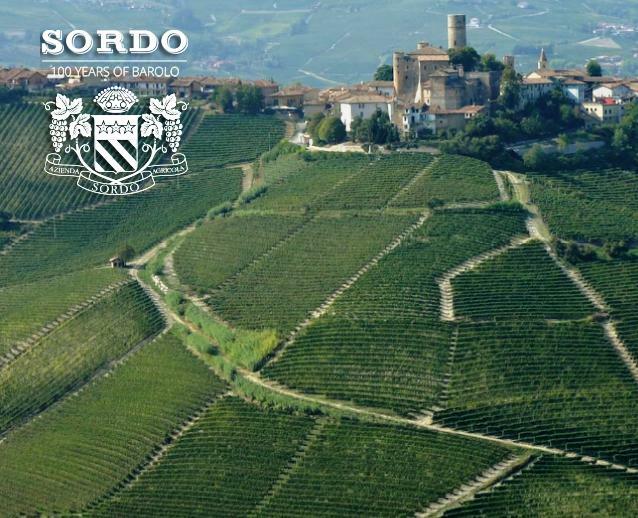 Sordo is now the largest vineyard land owner in Barolo. Wine Enthusiast 93"Rose petal, perfumed berry pressed powder and sweet cake spice aromas lead the way. The vibrant palate offers crunchy red cherry, raspberry, white pepper, grilled herb and tobacco alongside fresh acidity and assertive tannins." - K. O.